If you have an aluminum or steel garage door, you've probably already discovered that although it is fairly maintenance-free, it dents easily. You don't have to hit it with your car, although that happens often enough. 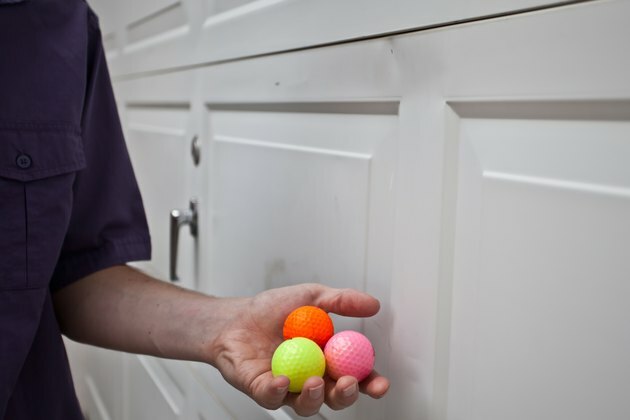 A stray baseball or children using the garage door as a tennis partner or a soccer goal can dent in your garage and lead you to price out a new panel for your garage door. Replacing an entire panel is usually not necessary. 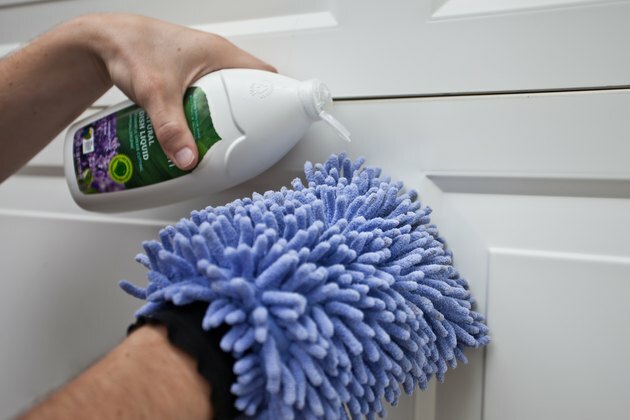 Instead, try a dent-removal technique used on automobiles and steel doors to eliminate dents. Fill a bucket with water and add 1 teaspoon of dish soap. Swirl the water and dish soap with a sponge to mix. 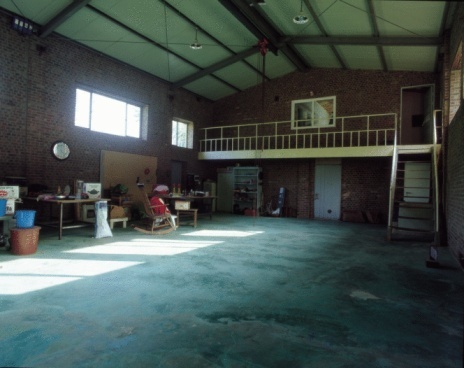 Wash the dented area of the garage with the sponge to remove any dirt. Hose it off thoroughly with water, and allow it to dry completely for one hour. 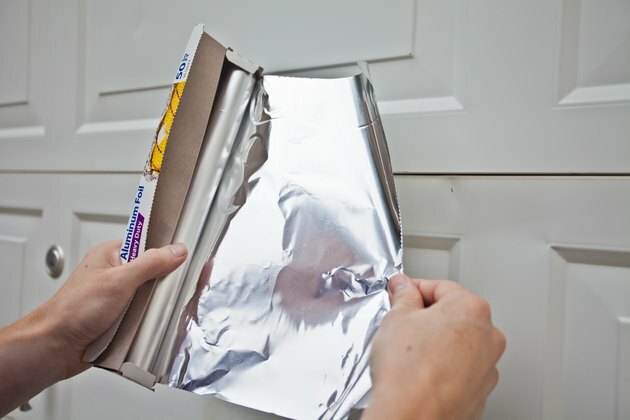 Unroll and cut a piece of aluminum foil from the roll that is long enough to completely cover the dent in your garage, making sure you will have enough excess foil to have room to hold the foil against the garage. Stand next to the dent in your garage door. Set the aluminum foil, the lighter and the compressed air canister, with the top removed, at your feet. 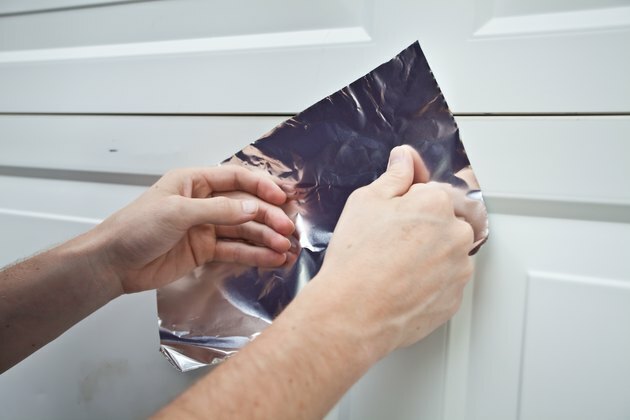 Pick up the piece of aluminum foil, and lay it flat against your garage door so it completely covers the entire dent. 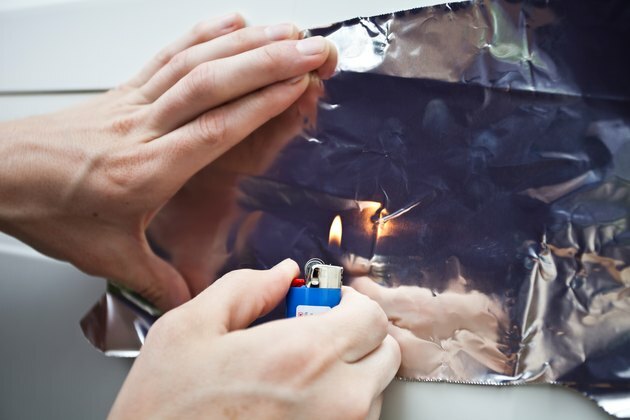 Hold it against your garage door with your hand at the edge of the foil. Light the lighter, and move the flame back and forth across the entire dent for one minute. Remove the aluminum foil. Hold the compressed air canister upside down and spray the dent on your garage with liquid carbon dioxide for 30 seconds. Watch as the dent on your garage disappears. The temperature difference between the liquid carbon dioxide and the heated dent will force the dent to pop out within two minutes. 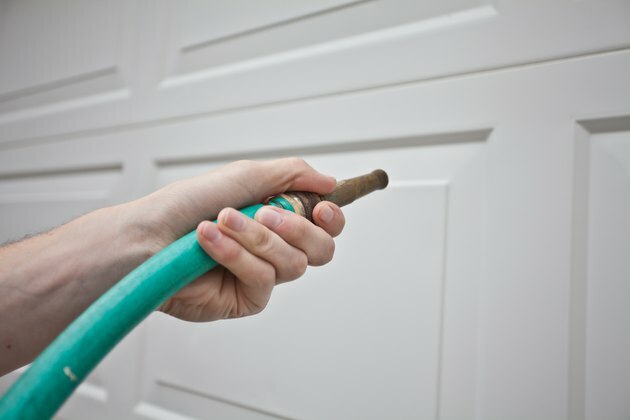 Hose off the dented area of your garage door to remove any leftover carbon dioxide. Based in Grand Rapids, Michigan, Elizabeth Grace is a freelance writer. She holds a Bachelor of Arts in public relations from Pepperdine University, and has 15 years of experience developing marketing campaigns for universities and multinational corporations.